Working in collaboration with the guys at Boxmodel we created a vibrant and elegant website for one of Britains oldest companies, Amdega. Amdega wanted a brand new Summerhouse website to showcase their fantastic range of Summerhouses, Garden rooms, Gazebos and Green Houses. Working alongside their fresh thinking marketing team we came up with this new design. 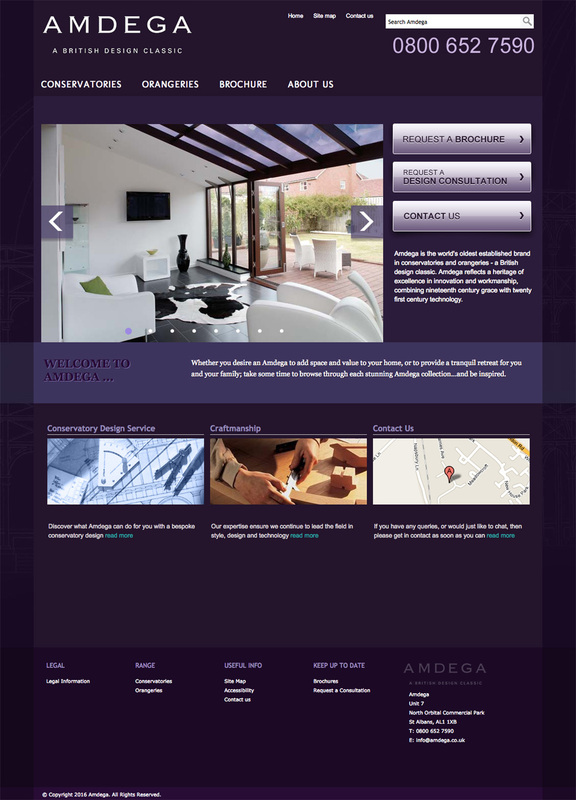 When Everest took over Amdega, we were also asked to re-design the main website. Using the Summerhouse website as a base, we introduced the new brand colours and organised the content and imagery in a clean and uncluttered manner.